Life Check For Seniors Telephone Reassurance Service - Checks Senior Well-Being. Database Systems Corp. (DSC) is a leading provider of technology for call center operations. The technology provided by DSC includes automated phone systems with CTI (computer telephony integration) software solutions. What Is Life Check Calling Services? "Life check calls provide a safety reassurance for the elderly and vulnerable people, providing care and reassurance needed to allow them to remain living in their own homes." DSC provides community programs that assist the elderly and home bound residents using our autodialers. 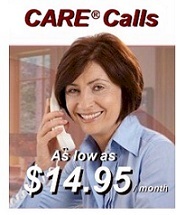 This telephone reassurance program is known as CARE (Call Reassurance). Residents are called to ensure their well-being. If the CARE recipient does not answer the phone, an emergency dispatch message is delivered to either the CARE phone center or directly to a family member. The center is continuously updated to ensure a follow-up is performed and that the CARE recipient is OK. Contact DSC to learn more about our life check telephone reassurance systems and services. Besides CARE systems used by communities and service organizations, Database Systems Corp. provides a senior calling service directly to individual citizens. This service calls subscribers to ensure they are OK or to remind them to take their medications. DSC partners such as senior community centers and law enforcment organizations can provide this daily check up calling service to their communities using our eCARE program. 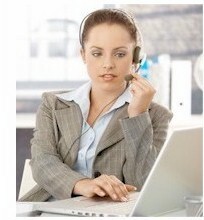 The following individual calling programs can be performed using our daily calling service. Signup Today using our online registration form. Our online enrollment is easy, yet it provides the senior with flexible calling schedules, custom messages and greetings, as well as multiple emergency contacts in the event of no response by the subscriber. 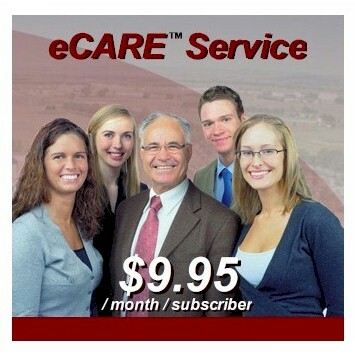 Click on the Create eCARE Account link below. "CareGiver Technology is an advisor, educator and caregiver resource on the latest assistive technological products designed to help people remain independent and stay in their homes for as long as possible. We serve those of advanced age and physically-challenged among us who want to take care of themselves effectively, the family caregiver of a loved one, the professional geriatric care manager, home health agency or community administrator. We constantly stay abreast of the latest and most advanced products in assistive technology." Contact DSC to learn more about our life check phone reassurance services and phone systems.